obtain your Marriage License, become an Officiant and many other Wedding Tips. Your One Stop Wedding Shop! 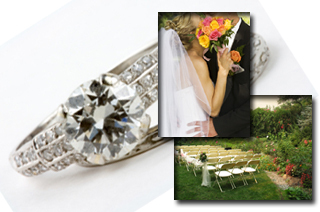 The Clergy Network is dedicated to providing quality wedding officiants and marriage ceremony help. Get the latest up to date information on finding the perfect wedding clergy and how to make your marriage ceremony extra special. Search through the below press releases, articles, blogs and resources. Visit our Blog today for the latest information and additions to The Clergy Network. The Name Change Kit - Changing Your Name Made Easy! A Must Have! Please contact TCN for Memorial or Funeral Service Officiators. The Clergy Network... A Wedding Officiant & Clergy Referral Service...Officiating Southern California Weddings for 17 Years! Featuring Career, Degreed & Public Speech Trained Wedding Officiators & Other Wedding Clergy... Including Judges... Justices of the Peace... Rabbis.... Priests...Wedding Celebrants... & Non-Denominational Marriage Ministers ... Presiding Over Civil, Religious, Interfaith or Bi-Lingual Wedding Ceremonies! Serving Southern California.